← Talk Back Tuesdays With Captain Pegnose #4: Ye Bunch of Yahoos! So, I decided I wanted to do a character that uses some of the new supplemental stuff to show off how a character with the new life gainer abilities and the new flaws might look. So, I needed someone smart, cowardly, and that acts as a back-up character most of the time. Still, it needed to be someone decently heroic. I thought about it a long while, and I came up with one character perfect for this. I’m lying, actually. I went with Sokka from Avatar because I just wanted to give him “Return to Me, My Loyal Steel” and make a semi-competent combat character that makes me chuckle on the inside, but all that sounded good, didn’t it? On My Signal! (Cost 4): +2 to all rolls for one target. Tactical Genius (Passive): +2 to come up with and see through strategy. Me Make You Boom! (Passive): +2 to make explosives and demolition checks. Beginner’s Luck (Passive): +2 to one untrained skill a day. Absolute Precision Stance (Cost 1): +1 to hit, -1 to dodge for turn. Cautious Parry Stance (Cost 1): +1 to dodge, -1 to hit for turn. Dead-Eye Ace (Passive): +1 Life when hitting with ability. Vacant Stare (Passive): +10 life if do nothing but stare for turn. Back-up Singer (Passive): +2 Life when healing or buffing allies. Coordinated Assault (Cost 5): Give +10 damage to another ally on same reaction. Return to Me, My Loyal Steel! (Cost 10): 6 range. 15 damage. If misses, returns on next turn with same bonuses with opponent at a -1 to dodge. Fists Don’t Cut (Cost 3): +5 damage to one weapon attack. Break Their Groove! (Cost 9): All enemies take a -1 to all rolls for the turn. Lord of Parries (Cost 8): Use Precision -2 for Dodge for turn. Dance of the Twin Blades (Cost 5): 10 damage. Can attack again at a cumulative -1 if hits. Desperate Struggle (Cost 10): 30 damage when below quarter of max health. Thine Drill Penetrates the Wave! (Cost 12): +5 Damage to all allies for the turn. Made for Me (Passive): Meteorite Sword. Give +2 to hit when used. Flaws: Clumsy (2), Coward (2), Weak Knees (2), Low Self-Esteem (1), Slow Reflexes (2), Code (1): Protect Avatar, Focused Attribute (Precision, 4): Spot, Listen, and Notice Details, Focused Attribute (Will, 2): Insults and Catchphrases, Hungry (1): -2 to resist diplomacy, intimidation, or charm when tasty food is included. Description: Sokka is interesting. He’s not very talented, his ability scores are fairly low and his life is below average for an adventurer of his level. However, a good Pirates vs. Ninjas player will quickly realize that he’s far from useless. Sokka’s strength lies in planning, timing, and working with others. His ability to plan and do intelligence based tasks in the middle of a battlefield is invaluable in many of the scenarios he ends up in. On top of that, Sokka has a sword made from a meteor that brings his precision up to an effective 10 for melee. So, despite his poor agility for such a low life total, Sokka makes excellent use of Lord of Parries. All this adds up to a decent melee fighter that will probably not outlast his foes most of the time. 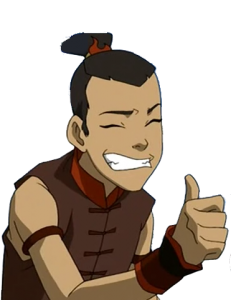 However, in a team, Sokka fills a more vital role as a team buffer and debuffer. In this role, he gives his team just the tiny edge they need to win in some of their worse battles (and yes, I WAS tempted to give him perfect strategy instead of Made for Me). He can either make another character shine with +2 to all their rolls, give an ally extra damage for a big attack, or even distract all of their enemies for a -1 to all their rolls. 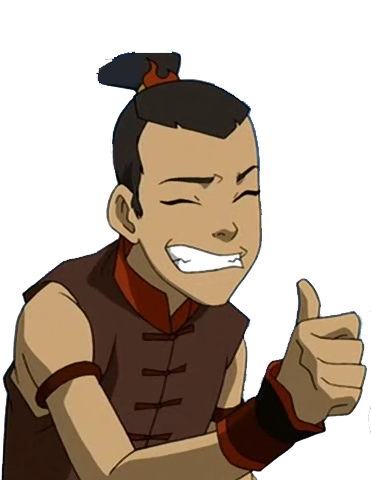 So, Sokka adds up to a decent back-up fighter, a team buffer, and a master planner. You may think he’s weak at the time, but you’ll regret not taking him out when he’s distracting you for one of his allies’ big attacks or is taking out your fortresses defenses with some wacky plan or tactic. So, that’s our Well-Loved (Back-up) Hero for this week. What did you think? Anything I missed? Anything you don’t agree with? Also, feel free to leave suggestions in the comment area for future Well-Loved Heroes.